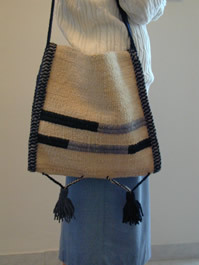 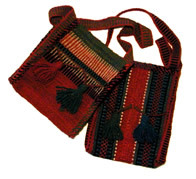 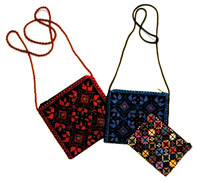 Sunbula - bags and purses. 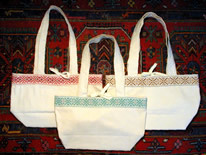 Comfortable 100% cotton canvas tote bag. 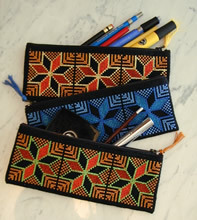 Durable, washable and attractive. 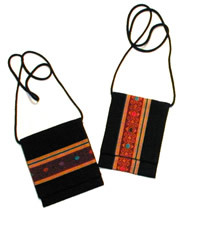 Two pockets, one on the inside, one on the front. 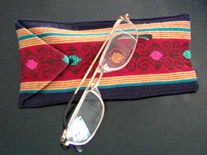 Strap design comes in a leaf pattern (shown) or in a colourfull geometric pattern of small squares. 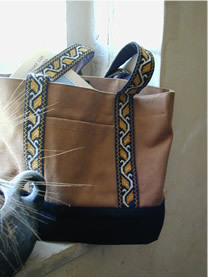 Light brown with black bottom.